How many of us have walked by or driven past a ragged-looking panhandler standing at a street corner begging for money. Few of us give some spare change or even a dollar or two, while most of us avoid eye contact so not to encourage him or her to approach us. We didn’t want to be bothered, or didn’t believe that they were actually that desperate. Surely it was a scam. Assuming so made us feel better about not getting involved. Besides, what would a dollar or two even do for them? Even twenty dollars? It would allow them to buy booze, no doubt. Maybe even drugs. The unfortunate truth, however, is the fact that hundreds and thousands of Americans live on the street. 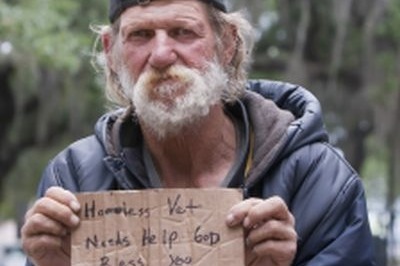 And what is even worse… even more unfortunate… according to the 2017 Veterans’ Affairs census, nearly 300,000 to 400,000 of those homeless individuals are veterans. 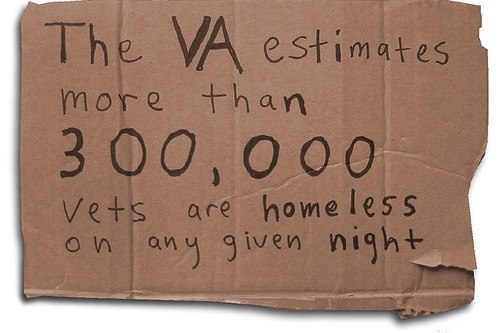 Simply put, one out of four veterans is homeless at some point in their lives. More so as they get older and become less self-sufficient. 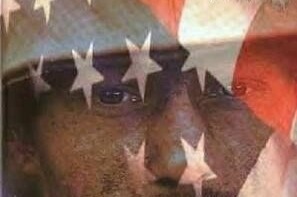 To compound the problem, conservative estimates indicate that there are an additional 1.4 million veterans who live below the national poverty line. Most affected are veterans over the age of 65. This means that each of these individuals has to make a conscientious decision as to which bill to pay…and not pay, each month. The Veterans Affairs is offering some relief but is falling terribly short of correcting the situation. Especially as it applies to the millions of veterans who are over the age of 65. Especially once these older veterans reach a point when they require help with simply getting through each day. With your assistance, we can help these individuals who have not hesitated to put their lives on the line for their country when and where it was needed. They had stood in harm’s way in order to protect our ability to live as free Americans. We are a non-profit organization dedicated and focused on the plight of older veterans who have run out of options. Those who may not have a home, or who cannot live on their own any longer. The frailest of veterans. With your tax-deductible contribution we can offer them a permanent solution by giving them a place to live. Your contribution will help to provide all of the care to hundreds of veterans, and which will allow them to live life with dignity, pride and self-respect. Each veteran will live in a specially re-purposed home and have his or her own private bedroom and full access to all common areas, while under the watchful supervision of trained professionals to assure their comfort and safety. In addition, nutritious meals, clothing, management of their medical issues, and assistance with all physical and emotional concerns will be provided. Above all that, we provide companionship and an active social life with friends and like-minded individuals. With your help, we can prove that America does care for them, and that we will never forget their self-less valor which they have displayed so heroically. We have provided housing and assisted living service for veterans and their widowed spouses since 1976. They have earned it. They deserve it. We can do it. We all owe them for what they have done for us.